To retrieve the record based on Guid, below is the small code snippet to use. There may a scenario to retrieve records using a picklist value throug OData query. Below is the small piece of code to retrieve the same. Performance on MS CRM is always a crucial thing and we may follow different ways to achieve the performance thing. Below is the one more approach we can improve the performance bit more. In IIS setting of a website where MS CRM is hosted, there we can change the Output Cache property. By changing this property to true, initially any entity record load may take bit time; later on it will open the records in much lesser time. This is quite a good approach to improve the performance. Gets or sets a value indicating whether the vary header is enabled. true if the vary header is enabled; otherwise, false. The default is false. The vary header indicates the request-header fields that the server uses to determine which of multiple cached responses are sent in response to a client request. The default for the OmitVaryStar property is false. By default, ASP.NET sends the vary header in all POST requests, as well as in all GET-request query strings. If the OmitVaryStar is true, ASP.NET omits the vary header when returning the response for cached pages, provided that the GET request to a response is cached with no VaryByCustom property and thePOST request to a response is cached with no VaryByParam property and no VaryByCustom property. To analyse the performance of a CRM form, SP1 of MS CRM 2013 introduced performance center. It will gives you the detailed information on how much time form is taking to load. Note: This tool only displays with CRM 2013 once you have Service Pack 1. Mostly creation of an organization service can be done in two ways. 2. Creating organization service with Network credentials. Note: Generally if you are using Network credentials for creating organization service, you may not able to create the organization service because of web service or aspx pages on different servers or on different port with in the same server. Network credentials will work only if you hosted your custom pages on same server and same port where CRM hosted. Hosting custom pages on CRM port is unsupported in MS CRM 2013. 1. If you hosted custom pages on different port, so you have to use user credentials (1st approach) to create an organization service. If you use this approach, you may face an issue on security roles. Because you are creating an organization service using particular credentials(Service Credentials, System Administrator or any one's) security roles will work according to the credentials we have used. 2. If you hosted the custom pages on same port where MS CRM 2013 hosted, according to MS CRM 2013 it is unsupported. I would like to walk you through step by step with an example on this concept. Ex: Here I would like to calculate an employee salary with few salary components like basic, variable, deductions. I have created Basic, Variable and Deduction fields as Decimal number like any other fields. While creating you have to set the Field Type as "Calculated" and click on Edit button, on edit button click itself it will create the field first and navigate you to Calculate field screen. This field will be looks like below. And write down you logic there on the screen. Here, whenever you set field type as Calculated field then it will be read only and value will be reflected on save of the form. 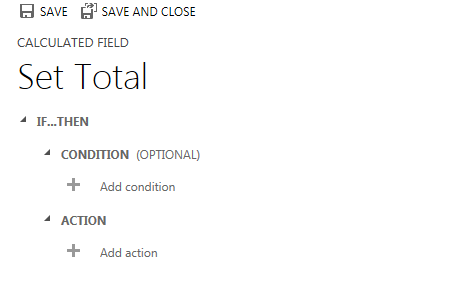 MS CRM 2013 has good look and feel but only the draw back is it is taking time to load a form because of Navigation bar and Command bars are taking time to load. So, with SP1 release, Microsoft provided a feature of hiding Command bar and Navigation bar. We may get a scenarios like form doesn't require Command bar or Navigation bar. Only thing we need to do is pass below parameters on from URL as shown below. Controls whether the navigation bar is displayed and whether application navigation is available using the areas and subareas defined in the sitemap. The navigation bar is displayed. This is the default behavior if the navbar parameter is not used. The navigation bar is not displayed. People can navigate using other user interface elements or the back and forward buttons. On an entity form, only the navigation options for related entities are available. After navigating to a related entity, a back button is displayed in the navigation bar to allow returning to the original record. Controls whether the command bar is displayed. The command bar is displayed. This is the default. The command bar is hidden. While creating fields in MS CRM we come across certain type called IME Mode in form as shown below. So What is IME Mode? An IME is a program that enables users to enter complex characters and symbols, such as Japanese Kanji characters, using a standard keyboard. Active 2 Specifies that the IME mode is active. Auto 0 Specifies that the IME mode is chosen automatically. Disabled 3 Specifies that the IME mode is disabled. Inactive 1 Specifies that the IME mode is inactive. Search bar on any entity will works with defaults attributes set by respective view. We can add or remove filtered columns to the view as show as below. Using Xrm.Page.getAttribute("your field name").getValue() we can retrieve the CRM field value. But there are some scenarios, this line of code will give wrong or old value. Ex. Write something on Subject field and click immediately on button (Webresource button), on onclick of it, try to retrieve the value of this field. It will not give you the update value. After a couple of hours effort found a way to get the updated value in this scenario. On button click event change the focus to button click event then save the form. Then try to retrieve the field. It will give you the updated values. Below is the code snippet to get role of an user. This function will returns true if the user role is 'System Administrator' or else it will returns false. One of important and difficult thing I have faced was updating record through OData. So I would like to give you a small code snippet which I am using for update. Ex: Assume that I have to update name and salary of an employee record. So my code snippet for this scenario would be like below. While we are writing any OData query in MS CRM, we have to retrieve the host and orgnization urls dynamically so that when ever code moves to staging or production, code will works withoug any modifications. Create a record and update a record is very crucial in CRM. There may be a scenario where we need to create or update no. of records at a time. Rather than doing that individually we can do that as Bulk with the below process. Ex: Consider I need to create 10 records at a time for a requirement. So we need to add those 10 entities to EntityCollection..
// Assign settings that define execution behavior: continue on error, return responses. // Add a CreateRequest for each entity to the request collection. // Add a UpdateRequest for each entity to the request collection. // Execute all the requests in the request collection using a single web method call. Below code used to associate and disassociate records for Many to Many relationship through C#. For ex: If there we have created Many to Many relationship between Contact and Account. The association of records will be like below. To retrieve the records associated between Account and Contact use fetchXml as below. You have to call this function on onsave of your form as shown below. In MSCRM we may get a requirement, for each key press we need to make a java script call and do some coding. 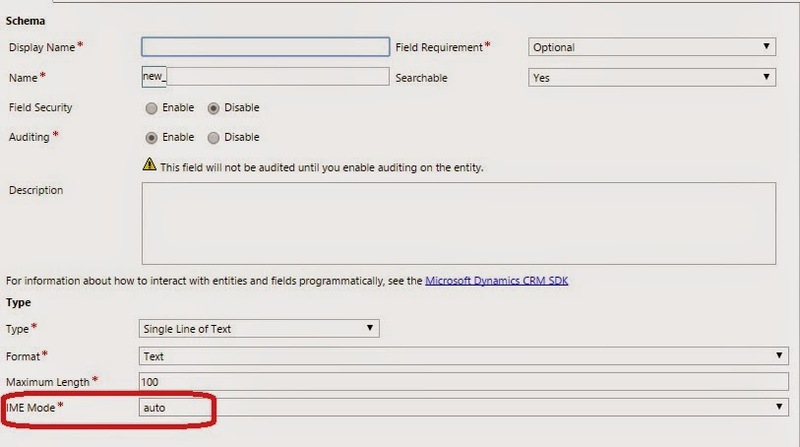 MS CRM out of box have only onChange event for each field. So, Here is a small code snippet to raise an event for each key press. Then add loadOnKeyEvent() method to the page OnLoad event.